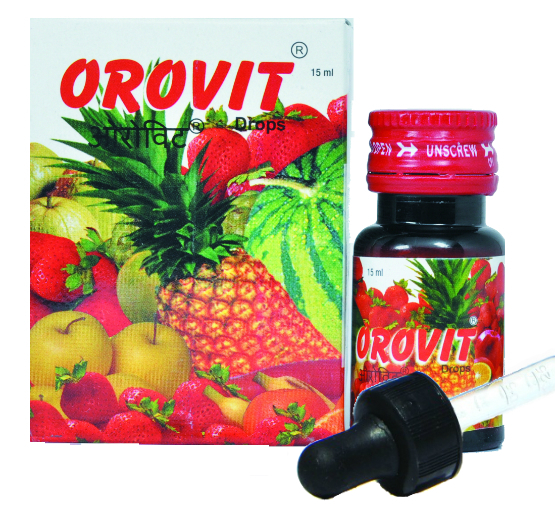 Orovit Drops is specially formulated for Indian children as per National Institute of Nutrition recommendation. It compensates the required Vitamin D3 that is available very less in mother’s milk. Zinc promotes more immunity and increases the disease defense. Lysine improves appetite and increases the growth rate of children. Packing: Available as 15ml dropper bottle.